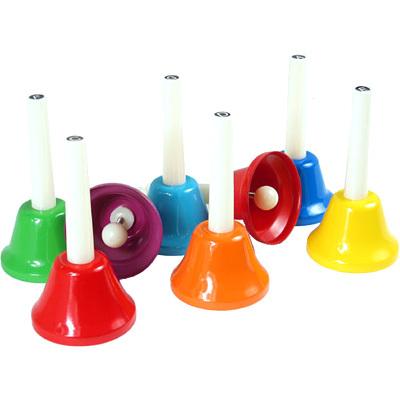 These fantastic hand bells are tuned to the scale of C, and are colour coded. They have a lovely ringing tone, and have good tuning. The bells are approx 14.5cm tall (including the handle) and 7.5cm in diameter at the bottom of the bell.